Product code: 00025-1 Categories: Sea Glass, Necklaces. Like many pieces in the sea glass collection this frosted sea glass circles lariat is one of a kind. It is made up of two rings of recycled silver, one of which is approximately 2.5 cm in diameter, the other approximately 1.5 cm. The circles are hammered flat to give them a unique texture. In the larger circle is a lovely frosted sea glass piece which was found on the beach between Aberaeron and Aberarth. The sea glass is set in a hand made silver bezel. The pendant has been hallmarked at the Edinburgh Assay Office. 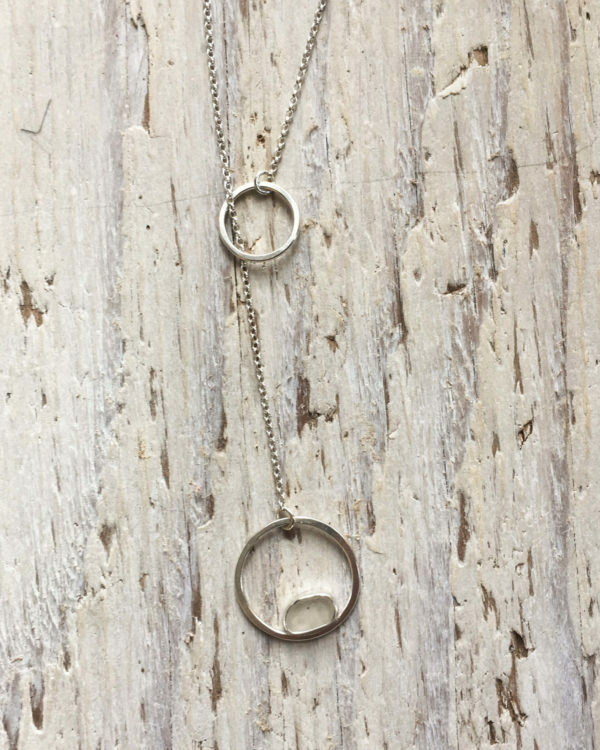 The two rings are suspended at either end of a 50cm sterling silver chain. 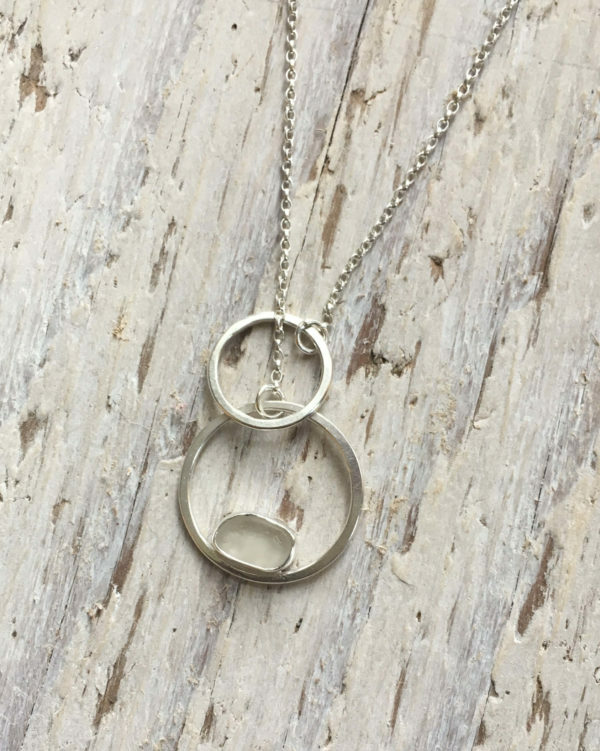 One circle slips through the other which allows a variety of ways to wear the pendant. The lariat pendant was inspired by the rings of quartz found in many beach pebbles. 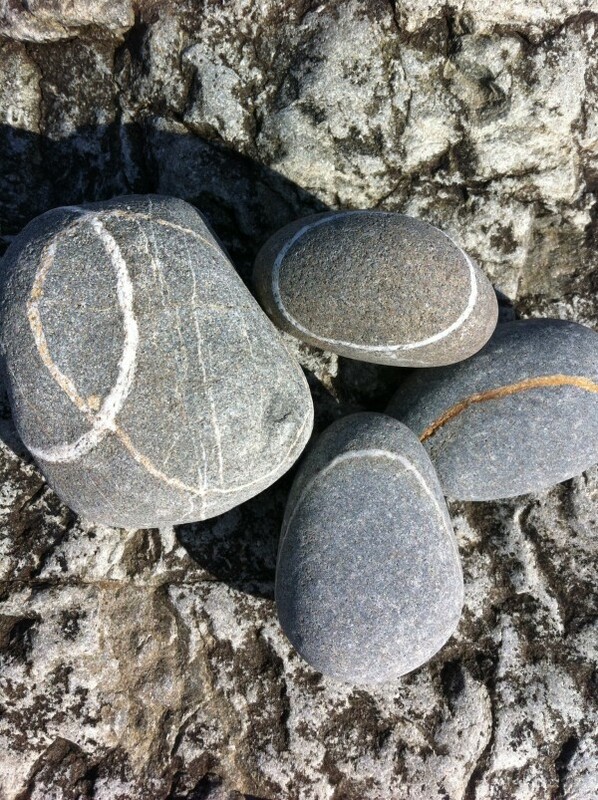 Like the rings in the quartz the circles are uneven. This pendant is ready for posting and will be dispatched within three days of ordering. The pendant pictured is the one you will receive. You can choose to have your lariat in a drawstring bag or a recycled box.